A Big-Bag is a transport container for light piece goods or bulk materials. The international designation is FIBC. 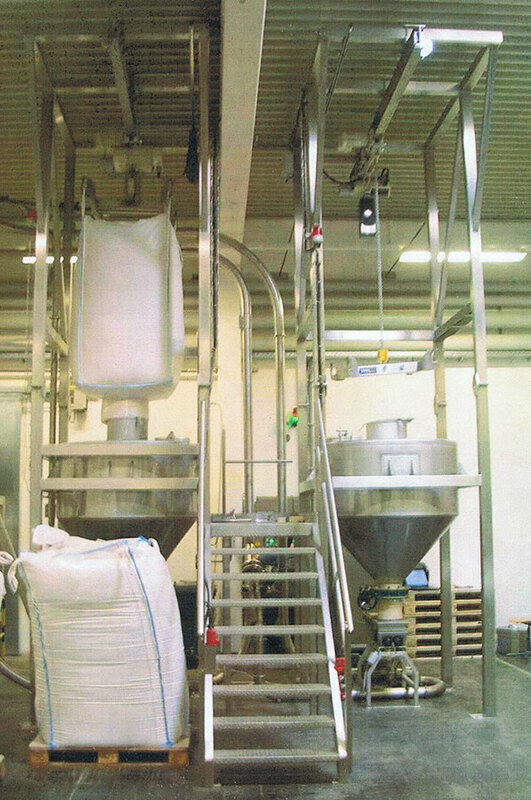 Depending on the properties of the bulk material, the dust-free, metered removal from a big bag is often a problem. Our big bag emptying stations are used for the dust-free emptying and metering of free-flowing bulk materials. The metering for production, for example, is done by metering screws, cellular wheel sluices/blow-through rotary valves or metering fluidslides. 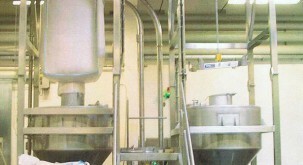 The picture shows a double emptying station made of stainless steel for the food industry.